Maybe he's a real Zebra from Africa? I think it's good business for Motherwell - albeit it seems the decision was made for them. There is always a temptation to hold off for a big transfer fee but it really doesn't happen that often. Over the last 5 years we have lost Kenny McLean, John McGinn, Stephen Mallan, Lewis Morgan and Kyle McAllister. For the last 3 we got about £1m total. For McLean we let him go for £100k plus sell on, for McGinn it was a nominal PCA fee with Hibs but a 33% sell on. So in total about £2m, after Villa bought McGinn. McLean and McGinn could both be playing EPL football next year, but Mallan didn't do well at Barnsley, McAllister is back at us on loan from Derby and Morgan has been loaned out by Celtic already. The disappointing thing for me is you don't have a sell on fee. Other than that its not bad business. There is solidarity fee of course if Rangers get big money and sell him on. Even now if Villa sell McGinn we get 3.5% of the fee regardless of any further payout from Hibs. Overall, he's had a great season for us. Capable of pulling off fantastic saves, good at communicating with the rest of the team and normally a commanding presence in the box. However, he is error prone and his kicking is inconsistent. He earned us a point at Parkhead with his performance so not going to condemn him for his mistakes yesterday. Still very young for a keeper so there's every chance he'll continue to improve and be in the reckoning for further Scotland call ups down the line. My extended family know him and his family quite well and he's always been talked about as having a great chance. Will be good to see his older brother back in the top division next season as well. He has a great reputation, and as a young Scottish lad I hope he prospers, but what is thinking on Liam Kelly? That's the last 2 games against us I feel he hasn't covered himself in glory. Two spills (for Flynn and Simeon) and then then the near post for McGinn. Very similar for the Mallan goal as well. He just going through a rough patch? Absolutely zero contact from Halkett, stone wall red. Wee Danny, what a boy. Give me him over Hardie any day of the week! Get it right up James Grady ya wee p***k! 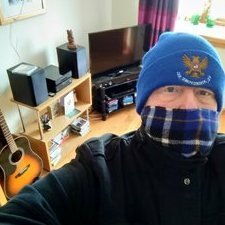 Reading through social media, and even this thread, the worst banter going must be this "bears" shite. "Bears in the home end lads" "Right Bears, its time to boycott and show some dignity"
A woman I (used to) manage was getting paid 5k more than me and spent every day telling me how she didn't have to work. To sit and deal with that knowing she's doing f**k all was pretty difficult. She was late 50s, early 60s, and had a banking pension as well as her salary. I'm mid 30s and she was clearly pissed off she was getting managed by me. Anyway, she threatened to resign a few times and I just ignored it. She then offered her resignation which I accepted and immediately processed. She couldn't believe I called her bluff. I've just recruited her replacement who is getting substantially less than her. I'm pleased with the point, a loss today would have put accies out of reach. Not sure. I know the initial allocation sold out by Tuesday and a new batch was delivered on Wednesday and that's pretty much all gone. Would accies open a pay at the gate? God knows why they didn't just give us enough tickets to begin with. At this time of year when we have meaningful games we carry a great away support. Only 100 st mirren tickets left. How has Rice done? Some of the interviews he comes out with have a hint of the Tommy Craig's about them but perhaps I'm not close enough.